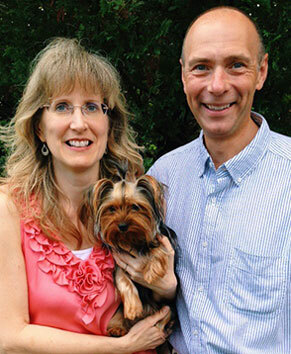 Joel & Barb Everhart have served as Pastors in the Assemblies of God ministry for 39 years & have been leading the congregation at New Life Assembly since 1986 (32 years). Joel graduated from Central Bible College & serves New Life as the Senior Pastor. Joel & Barb have been married 39 years, and are blessed with a son & daughter and five grandkids. Their son Josh lives in East Berlin & attends New Life Assembly with his wife Andrea, son Parker, & daughter Hannah. Their daughter Kayla lives on Long Island with her husband Chris & three sons Colten, Hudson, & Cooper, & daughter Adalyn. Joel enjoys telling stories to his grandkids, cooking, playing racquetball, rooting for his hometown Pittsburgh sports teams, & writing. He blogs weekly & has also authored the book, Developing A Forgiving Spirit. Barb enjoys spending time with family, Skyping with her grandkids, crafting, sewing, puzzling, & visiting personal care homes with her Yorkshire pup to cheer up residents. One of Joel & Barb’s favorite aspects of the ministry is dedicating babies to the Lord & watching those children grow up in the church to faithfully serve the Lord.